Pulham St Mary the Virgin is about 7 miles N.E. of Diss. It is also known as Pulham St Mary. See also Pulham Market (Pulham St Mary Magdalen). You can also perform a more selective search for churches in the Pulham St Mary the Virgin area or see them printed on a map. The Church of Pulham St Mary the Virgin. Index of Baptisms: Pulham St Mary the Virgin, 1539-1754. Index of Marriages: Pulham St Mary the Virgin, 1539-1754. Index of Burials: Pulham St Mary the Virgin, 1540-1607. Pulham St Mary Parish Registers: Burials 1813-1868, v.1. For the civil registration of births, marriages and deaths between 1837 and 1930 (and for the censuses from 1851 to 1901), Pulham St Mary the Virgin was in Depwade Registration District. School, parish, air station, etc. 1997: Pulham St Mary Directory: A guide to the village, its services and businesses, people, organizations, charities and history. Ask for a calculation of the distance from Pulham St Mary the Virgin to another place. Pulham St Mary the Virgin is in Earsham Hundred. You can see the administrative areas in which Pulham St Mary the Virgin has been placed at times in the past. Select one to see a link to a map of that particular area. Pulham St Mary King's Head Public House: a history. After 1834 Pulham St Mary the Virgin became part of the Depwade Union, and the workhouse was at Pulham Market (Pulham St Mary Magdalen). "The Parishes of Pulham St. Mary Magdalen (or Pulham Market) and Pulham St. Mary the Virgin are ecclesiastically united. The Return for the former includes 130 persons in 1841, and 311 in 1851, in the Depwade Union Workhouse." "Including Garlic Street, and North Green." School's Out: a history of Pennoyer's School and its benefactor William Pennoyer including some of the history of Pulham St Mary. The Chapel of the Gild of St James and Pennoyer's School. 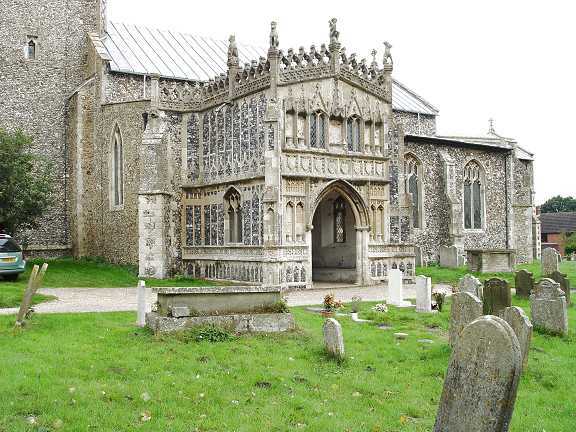 Pennoyer's School, Pulham St Mary, Norfolk, the architectural and historic importance of the medieval guild chapel of St James.